A DVD set doesn’t get much geekier than this. Unless you dressed it up in a Stormtrooper costume and sent it to Comic-Con. For today only, Amazon is selling the Marvel Heroes Collection DVD set for $27.99, 60% off yesterday’s price of $59.49. The set includes seven Marvel superhero flicks, including X-Men, X2, X-Men 3: The Last Stand, Daredevil, Elektra, Fantastic Four and Fantastic Four: Rise of the Silver Surfer. Or, if you think about it another way, that’s three X-Men movies for less than $10 each, and Daredevil, Elektra, Fantastic Four and FF2 for free. Which is perhaps the way you should think about it. 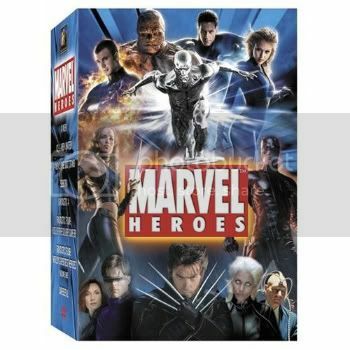 Check out the Marvel Heroes Collection DVD set .